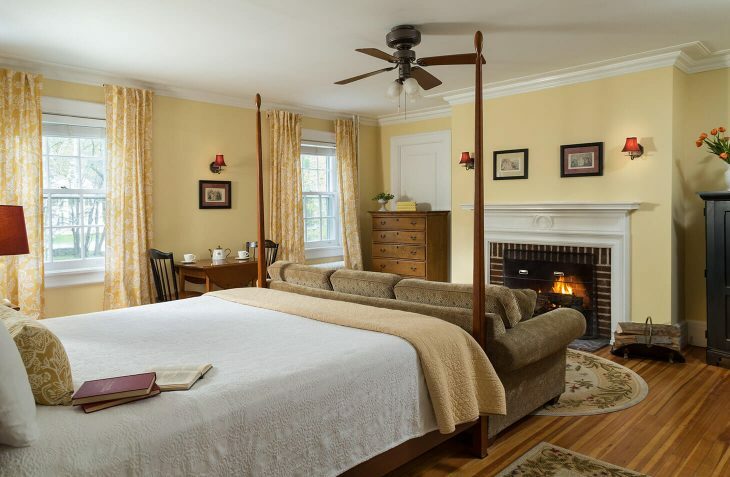 The four-poster king bed in this spacious guest room offers guests the ultimate romantic getaway in VT. Cuddle up on the couch in front of the real wood fire place (seasonal). Walk in stocking feet on the newly refurbished hardwood floors. 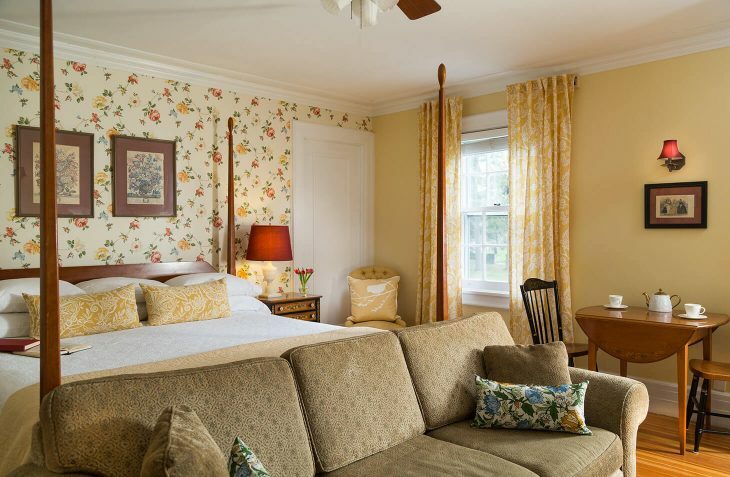 This classic room at our Vermont country inn is decorated in warm and comfortable gold tones and has a couch, table and chairs, and cable TV. 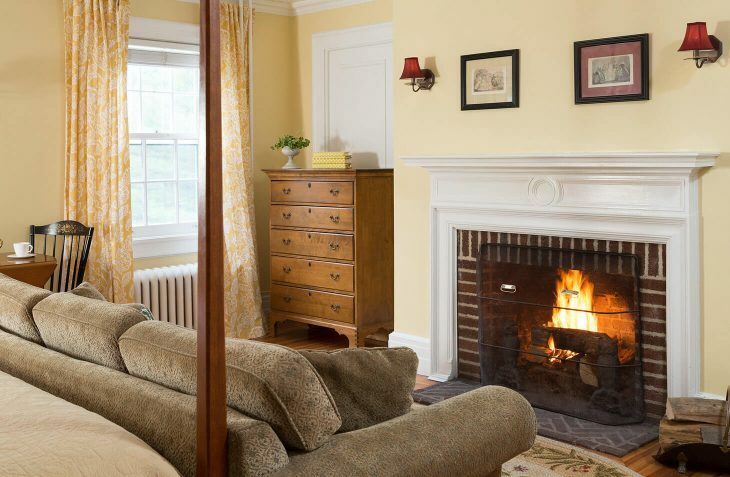 From October to April the wood burning fireplace is set to light with real wood making it our most popular room on chilly nights. 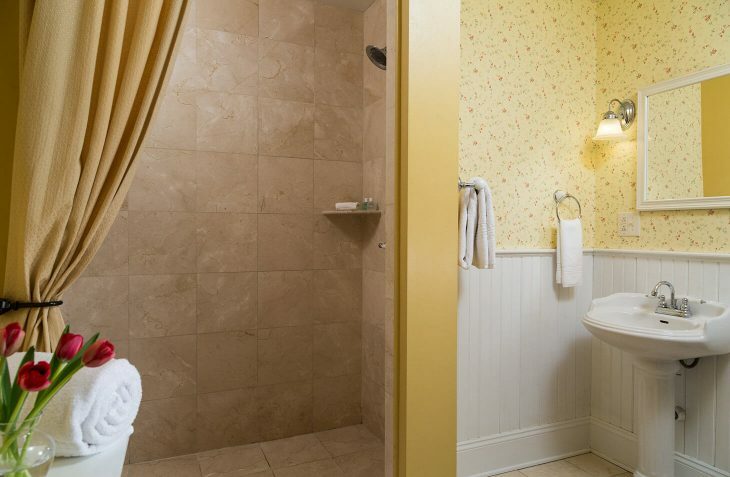 The bathroom sports Ralph Lauren printed floral wallpaper, white wainscoting and a two-person marble shower. Please note that there is no tub in this room. Approximate room size: 18 x 17 feet.